Need to know - the "vein"
Record size The biggest prawn we have ever handled weighed 490g. First figure is for raw. Second - cooked. The figures are averages across king prawns and Atlantic prawns, the profiles being quite similar. 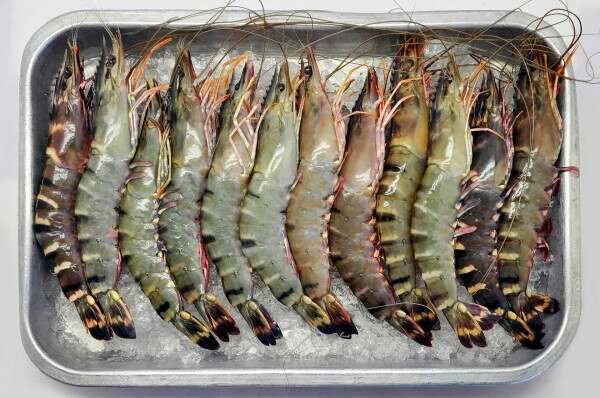 Like all fish, prawns – including prawns of the same species – come in a wide range of sizes. In the trade, the size of smaller shellfish is denoted by “count per pound” or count per kilo. So here at Fish Palace, we’re all “15-20s”, “13-15s” and occasionally “500-800s?… no we don’t want those, thankyou – far too small”. Some peeled king prawn producers have as many as 12 size grades, ranging from “U5” where U means “under” (U5s are very large, very rare and very expensive) to 80-100. The sizing for peeled cold water prawns goes from 125-175 (very large for a cold water prawn) to 500-800, which would be exceptionally small. We don’t use this kind of sizing on our site because it baffles the uninitiated. But you might find the following helpful. Scientists tend to avoid the word prawn: it’s too vague. It’s hard to use the word prawn without qualifying it. King prawns? Call THESE king prawns!? Warm water prawns (basically king prawns). Coldwater prawns? Cocktail prawns? And shrimp – what are they? It depends where you are. In the UK by shrimp, we mean a very small prawn. But in the USA they call a decent-sized prawn a shrimp and reserve the word prawn for the small ones. Nevertheless, prawn is the word everybody uses for a huge variety of similar-looking creatures. 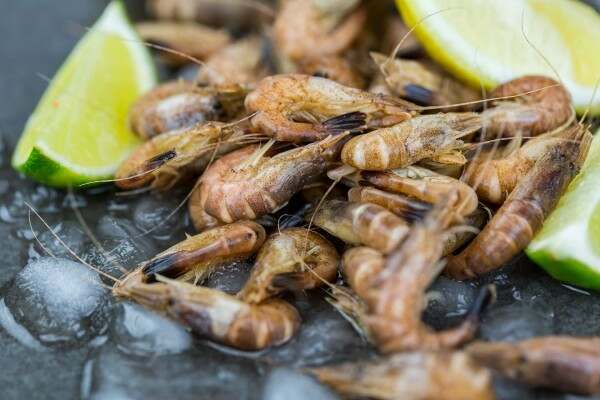 There are about 3,000 species of prawns of which probably a couple of hundred are widely eaten, two species make up about 70% of that eating and another 10 or so most of the rest. Prawns are a big business – globally, we spend about $25bn a year on getting on for ten million tons (live weight) of prawns. The global prawn workforce must be a couple of million people. Well over half of all prawns are farmed, mainly by ten countries between China, India and the Philippines. Intensive prawn farming relies on central hatcheries using sophisticated techniques to produce prawn larvae. The process was mastered in the late 1970s, so prawn farming dates back less than 40 years. Farm production reached one million tons in about 2000. It now stands at about 4.5m tons. And not without problems… the most serious of which was a disease known as Early Mortality Syndrome which wiped out production in several countries between 2011 and 2014. 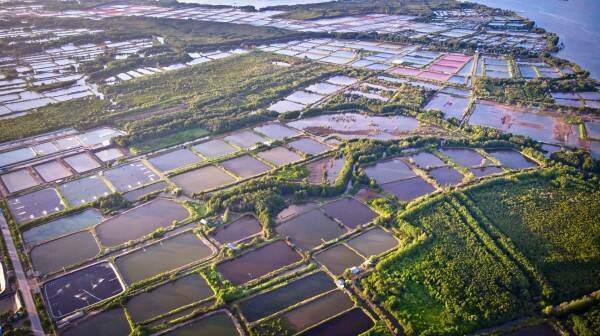 To overcome Early Mortality Syndrome, prawn farms had to lift their quality game. Most king prawns (which includes some fairly small prawns) are farmed. The original farmed king prawn was a creature called Penaeus monodon, better known as the black tiger prawn. More recently, the whiteleg prawn, Penaeus vannamei has come to the fore because its economics are better (it needs less food). When peeled, the two species are impossible to tell apart. We sell both species as “king prawn” (the species is stated on the pack you receive, but you can’t choose the species when buying). Total global production is split 80/20 between Asia and South America. We estimate that over 70 per cent of all king prawn consumed worldwide is one of these two species. In its formative years, the industry attracted heavy criticism for spoiling coastal ecosystems and variable quality. Most of these problems have begun to be addressed, often due to product quality regulation and farm inspection requirements pushed outwards from Europe and the USA. Nevertheless in some places bad practices persist. We do not deal directly with the farms so we cannot police our sources. However, we deal with reputable traders with reputations worth protecting and we believe our farmed prawns will generally come from sources we would deem acceptable. The next prawn is arguably the best: Pandalus borealis. We call this the North Atlantic prawn although there’s a very similar species in the North Pacific. This is not farmed – it’s only found in the wild – all around the coast of the North Atlantic, from New England to Russia with heavy concentrations in Greenland, Iceland and Svalbard/Spitzbergen above Norway. Very occasionally, it turns up on UK coasts. Presumably because it lives in cold water, the largest this prawn gets is about the smallest size of a king prawn. But man! The taste! Excellent! Farmed king prawns have size and texture, but they don’t have taste. North Atlantic prawns lack size, the texture is fine, but the taste is superb. 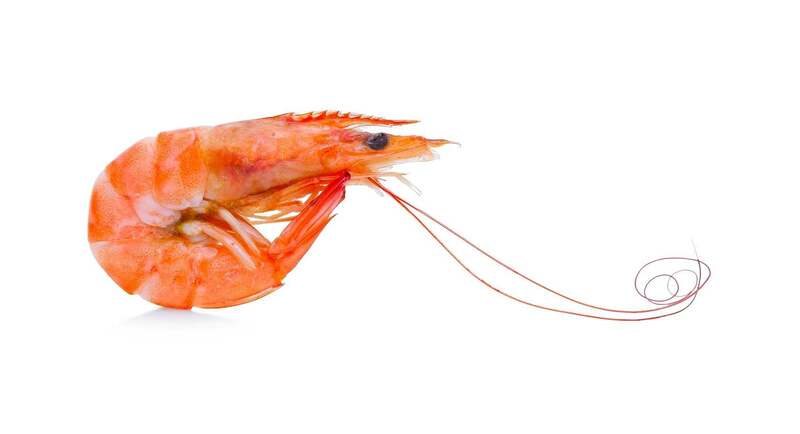 Think about this: a farmed prawn grows to about 30 grams in less than a year. A Pandalus borealis grows to 10 grams in about 5 years. Slow is beautiful. Being wild and therefore organic, these prawns have no additives (other than a little salt). Pandalus borealis is caught at a rate of about 300,000 tonnes a year – so less than a tenth the output from prawn farming. Supply goes up and down from year to year, but Greenland, Iceland and Norway respect fish resources and are unlikely to allow over-exploitation. You can’t buy cold water prawns raw. Frankly, we don’t know why, but that’s just how it is. We also sell several specialist prawns. One of our customers’ favourites is a mean-looking goliath which we call Al Caprawn (get it?). This is the same Penaeus Monodon found on prawn farms, except it comes from the wild. One of the most important pieces of economics in prawn farming is that the bigger the prawn grows, the slower it grows… whilst requiring more food. Although bigger prawns are more valuable, the premium price is swallowed up by the cost of feeding them. 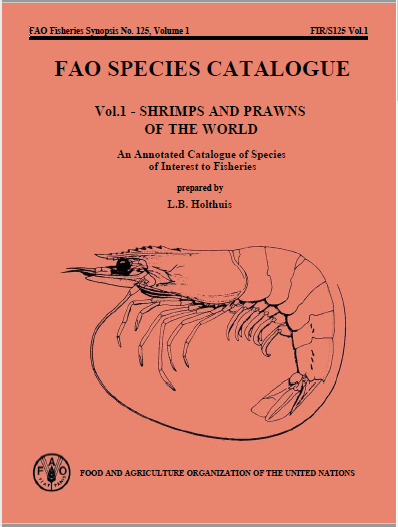 Thus farmed prawns are typically harvested before they get into the super-large category occupied by Al Caprawn. Al Caprawns or very similar species, are caught all over the Indian Ocean from Africa to the Philippines. Another popular large prawn we sell is the scarlet prawn or carabineros. This is a family of prawns called Aristeidae, found in deep waters off Morocco and other parts of Africa. All the prawns mentioned above are grey or brown in their natural environments, only turning into the characteristic prawn pink when cooked. But scarlet prawns are a strikingly deep red when alive. They’re often called carabineros after the Spanish customs police, who wore red uniforms. 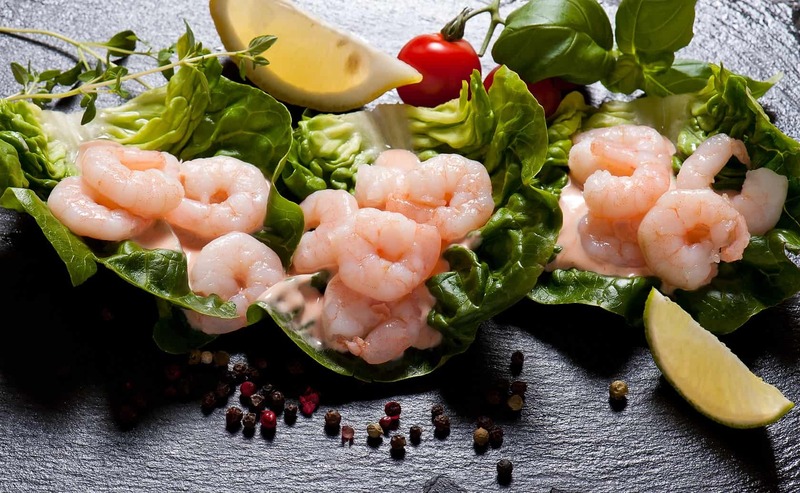 Scarlet prawns are admired by chefs not only for their meat but also for their heads, which after cooking contain an excellent sauce-like concoction regarded as a delicacy in top kitchens. We also sell a wild Penaeus-type king prawn from Australia, Melicertus latisculatus. This king prawn is unusual in that it comes from an area (the south coast of Australia, next to Adelaide) where the water is often quite cold. Cold water often means better taste. It looks like a black tiger prawn without the stripes. It tastes pretty good but the standout feature is that the fishery has always been run on very sustainable lines and is one of the few wild prawn fisheries worldwide to have a Marine Stewardship Council label. The annual catch of these prawns is about 2,000 metric tons. We also sell Argentine red prawns (Pleoticus muelleri). This fishery extends down the South American coast from the south of Brazil. Finally, to crevettes. Here, we are possibly being a bit misleading but having established the name with our customers, we decided to stick to it. Crevette is the French word for any kind of prawn including small shrimp and large tiger prawns. We use it to denote a large whole cooked prawn. These are normally Penaeaus monodon and would normally be wild. There’s one thing everyone needs to know about large wild prawns, which is the “vein” or alimentary canal. It’s a narrow dark thread that runs through the tail of the prawn from head to tail-tip. It’s located towards the top of the tail, just below the surface of the flesh. Its contents are harmless but unsightly. You're unaware of this vein on farmed prawns because they’re starved before harvesting – hence it’s empty. But you can’t starve wild prawns before you catch them. In small wild prawns such as North Atlantic prawns and brown shrimp, the vein is so slight you wouldn’t notice it. So with Al Caprawns and similar, the vein needs to be dealt with either before cooking or at the table. If your prawns are raw and you want to serve them whole, deveining before cooking is best. Using scissors, cut neatly from the top of the tail (end of the “head”) through the shell and about 5mm into the meat. You’ll expose the vein which you can easily pick out. Then a quick wash under the tap completes the job. The shell, still firmly held on underneath the tail, folds back into position beautifully – they’ll still look perfect. But you don’t have to do this yourself - we offer both Al Caprawns and Scarlet prawns in deveined versions (we did the process just described). But our crevettes are cooked whole by the processor before they reach us. So we can’t readily remove the vein and you’ll need to deal with it at your end. This isn’t difficult – after defrosting, cut them with scissors as described above. Then pick out the vein (if there is one – sometimes, there isn’t or at any rate you don’t notice it because it’s empty) and rinse under the tap. Afterwards, the shell will fold back and they’ll still look perfect. The smallest prawn we sell is the brown shrimp, Crangon crangon. Brown shrimps – always wild – are very small but fantastically tasty and loved by serious foodies everywhere. In the UK you are most likely to have come across them as Morecambe Bay potted shrimp, in which the peeled cooked shrimp is sealed into a small pot with clarified butter. The brown shrimp is fished in coastal areas from northern Norway to Morocco and in smaller quantities all over the Mediterranean. It’s very prolific in the North Sea which is where ours normally come from. But our potted shrimps come from Morecambe. We sell brown shrimps whole, peeled and potted. Why anybody would want them whole – and therefore needing to peel them - is a mystery to us. But some very nice people buy mountains of whole ones. Maybe the peeling is therapeutic.